Here is the first product I have that uses a texture changer HUD. Hope you like it. Textures are all original. If you have more than one placemat set rezzed, HUD will texture them all at once. But if you want different textures for several placemats, you can take them in inventory to save each look one by one and then rezz again when all are textured. 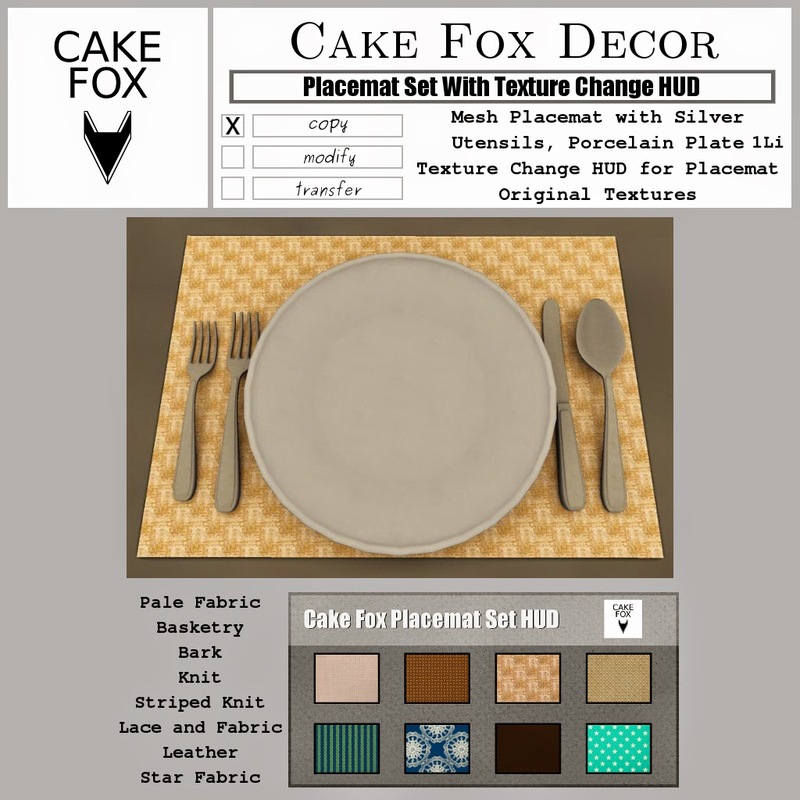 Cake Fox Decor Placemat Set With Texture Change HUD is just 65L$. Get it at Cake Fox Mainstore. Enjoy!